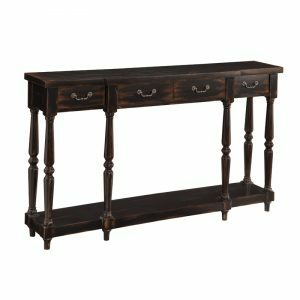 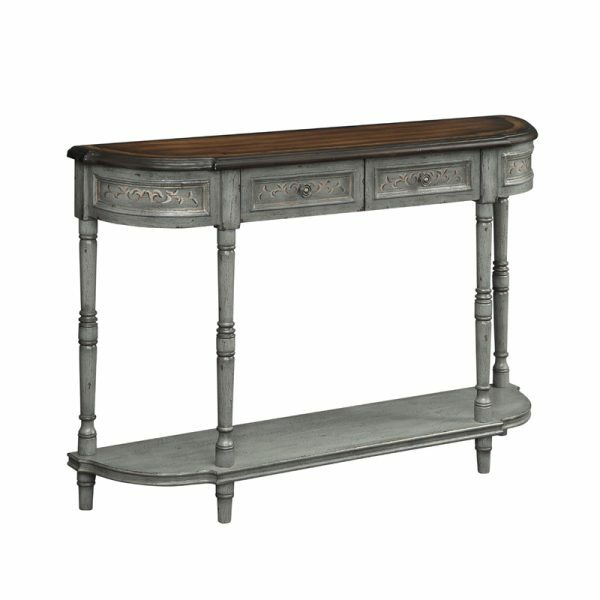 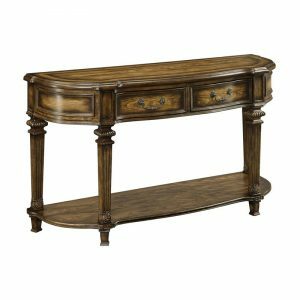 Markham Grey and Brown 2 Drawer Console Table. 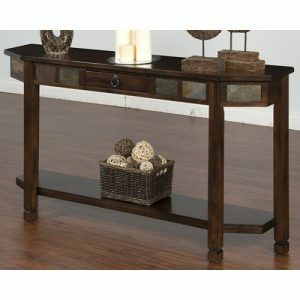 This tall yet shallow two drawer console will add graceful style and storage to even the tightest space. 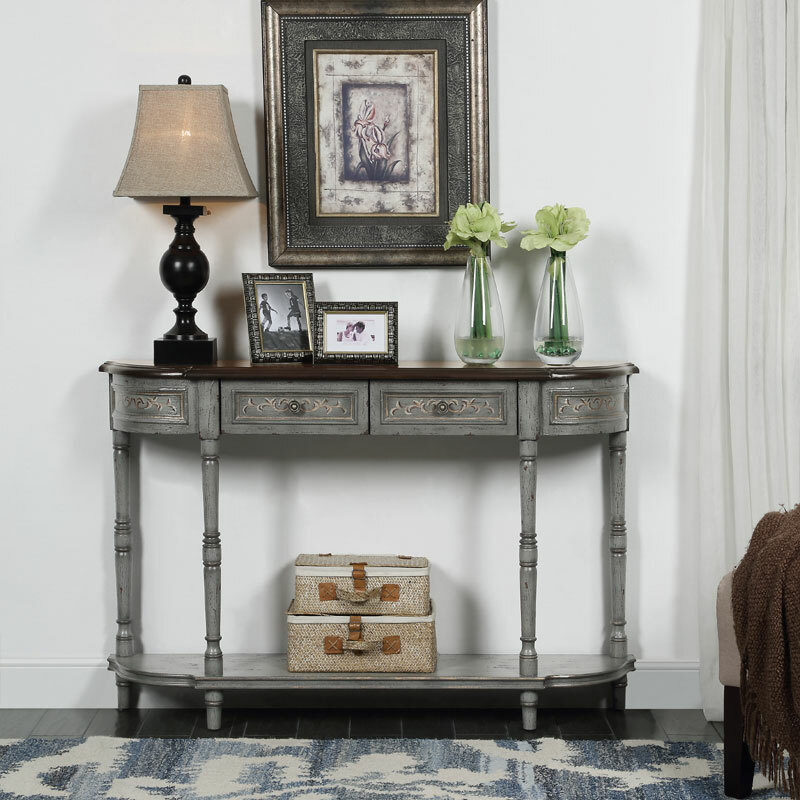 Delicately hand painted scrolling vines embellish the side and drawer panels, while the warm brown top perfectly complements the textured Markham Grey frame. 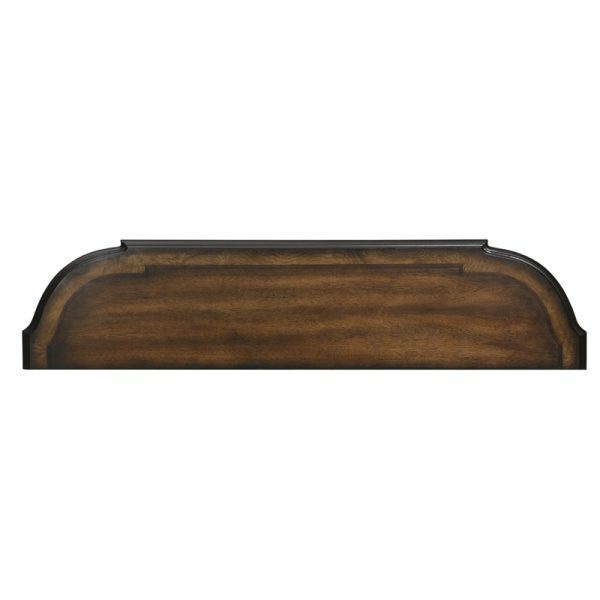 The subtle breakfront design is repeated in the full shelf stretcher base, offering an additional surface for display or storage.